When you need that bigger space for your shoots, or simply when you have many models on set, this combination is your best bet for your big ideas. The possibilities are endless. 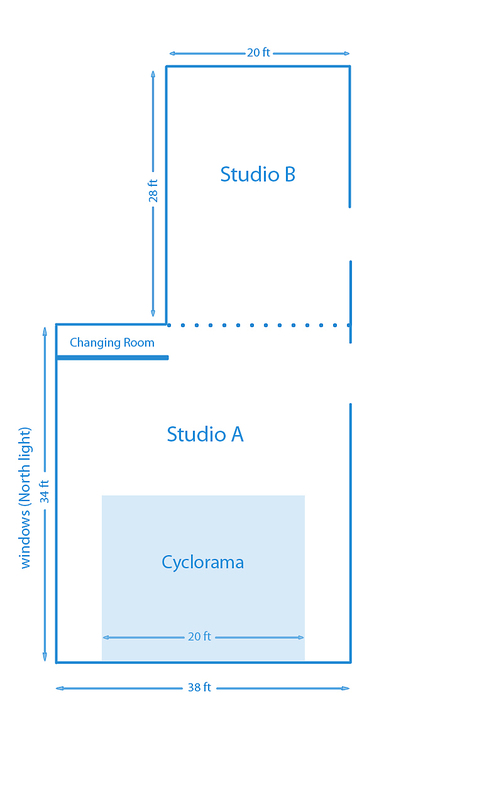 You could have a model shoot set in studio A and a product shot in studio B. Or perhaps use studio B as a makeup and wardrobe area for your models. The couch could also be set in studio B for your clients to relax, away from the shoot with that cappuccino in hand. Enjoy a 20% discount on studio A+B rental when you rent equipment ($1000 and above) from us together with the studio space.